No marketing strategy can be effective without segmentation. While the concept of segmentation is deceptively simple, in practice it is extremely difficult to execute. Emphasizing practical skills as well as providing theoretical knowledge, this hands-on, comprehensive course covers segmentation analysis in the context of business data mining. Topics include the theory and concepts of segmentation, as well as the main analytic tools for segmentation: hierarchical clustering, k-means clustering, normal mixtures, RFM cell method, and SOM/Kohonen method. The course focuses more on practical business solutions rather than statistical rigor. Therefore, business analysts, managers, marketers, programmers, and others can benefit from this course. 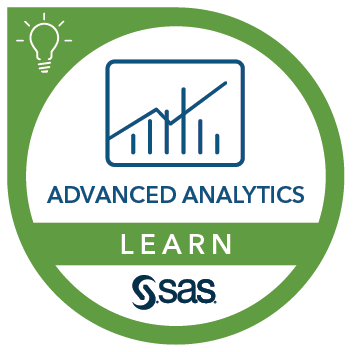 Some prior exposure to SAS is useful, but not required. No experience with SAS Enterprise Miner, SAS Enterprise Guide, or JMP is required. Goutam Chakraborty describes this course.